Are SUV’s or trucks safer than sedans for car accidents? 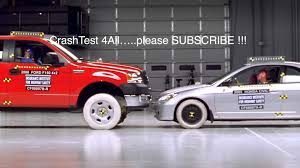 If you are car buying, chances are you have looked at weighing the pros and cons of an SUV (sport utility vehicle) or truck versus a sedan. One of the biggest factors is safety and another may be ease of access and gas mileage. The law of physics dictates that SUVs are safer because of the higher center of gravity due to the larger size and weight creating more force and less likely to be moved by a smaller sedan. This is the same reason that buses do not have seat belts on them. Buses do not have seat belts because manufacturers of the buses believe that the high center of gravity makes them extremely unlikely to be impacted strong enough by other cars to make much of an impact on the passengers inside them. However, Consumer reports also states that high center of gravity vehicles are more prone to rollover accidents that are deadly. However, SUV made in 2012 and after are now required to have Electronic stability control (ESC), which prevents rollover car accidents. However, most people that died in rollover car accidents were not wearing their seat belts. Head on collisions are not the only thing you want to think of, though. Most car accidents are not SUV versus cars in head on collisions. Most car accidents are actually rear end car accidents and side swipe car accidents, even though the most deadly are “T-Bone” and head on car accidents. 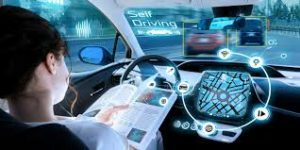 There are many other safety concerns you want to think of like cars that are up to date with the latest technology including as antilock brakes, traction control, back up cameras, blind spot warning indicators, curtain air bags, stability control, and other accident avoidance features. Check out consumer reports or other car reviewing companies to figure out the right, safe car or SUV for you and your family. USA Today posted the 2018 IIHS safety picks in December 2017. Should you replace your child’s car seat following a car accident? Yes, you should replace your child’s car seat following a car accident because the stability of the car seat could be compromised. Your insurance company or the other driver’s insurance will pay for the replacement of your child’s car seat in a car accident. The National Highway Traffic Safety Administration has changed their stance that car seats should be replaced in every car accident and now only recommends replacing a car seat where there is a high impact car accident and not to for minor car accidents. 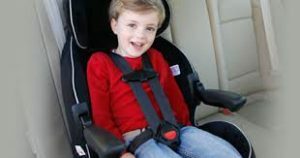 The NHTSA states that their position is due to parent’s unable to buy or receive a replacement quickly from the insurance company and don’t use a car seat in the mean time. This seems risky to me, to put your child’s life in the hands to an estimate whether the car seat is damaged and safety compromised. While this makes sense on the outside, a more practical approach may be to require insurance companies to pay for a replacement ASAP instead of parent’s just thinking the car seat is fine and continuing to allow the child to ride in a ticking time bomb. If you have a car seat that was damaged or you no longer use it, you can recycle your car seat in Seattle. Local recycling center Total Reclaim is partnering with Old Car Seat, New Life to offer ongoing booster and car seat recycling services. Puget Sound area parents and caregivers can bring car seats and boosters to the Total Reclaim recycling facility at 2200 6th Ave. S. between 8 am to 4:30 pm daily. Car seats with covers, straps and foam removed cost $5 to recycle, or $7 as is. Details are at recycleyourcarseat.org. Dash Cams Save Time and Money? With more and more Youtube videos coming out showing someone trying to perpetrate a fraudulent car accident by the perpetrator backing up into a car and trying to blame it on the innocent victim, do we all need dash cams? Could this happen in Seattle instead of China or Russia where most of these videos are taking place? Could a perpetrator try to back up their car into yours and claim a personal injury car accident in Seattle? Dash cams have been the saving grace for most of these people as once the perpetrator trying to fake a car accident injury case sees the dash cam they high tail it out of there. Dash cams are a great idea because it gives independent evidence of what actually happened instead of a he said she said coupled with the damage to each car. Since most rear end car accidents are deemed the rear end driver’s fault, dash cams could definitely come in handy to prove innocence in these rare but extreme cases. What else could dash cams help with? Dash cams could help prove liability in a car accident where one person says they had a green light and the other claims they had the green light. They could help prove liability where one person says they had control of an uncontrolled intersection and thus the right of way in a car accident. They would also speed up the liability determination of every case and help get the victim compensation for the damages to their car and help them move forward with their case. They can even record when you are not in the car to record people that crash into your car while it is park or vandalize your car. How much do dash cams cost and how hard are they to install? Dash cams cost anywhere from $50 to $200 on Amazon with most costing around $100. They range from mounted to the dashboard cams to dash cams that just wrap around your review mirror, with almost instant installation. Most plug into a USB outlet or the cigarette lighter plug. Installation seems like anyone can do it without having it professionally installed. The video recording on the dash cam mount generally is either saved on a disk on the dash cam and able to be taken out or backed up to your phone with footage being erased and tapped over every 24 hours or 48 hours depending on the model that you have. It’s unclear whether it is driving time, recording time, or just time that quantifies the 24 to 48 hours. You can even use your phone as a dash cam camera with certain mounts. In summary, dash cams are not very expensive and could save you from a lot of trouble if you don’t have any independent witnesses and one person is claiming something that is untrue in a car accident injury case. While there are ways to prove whose fault a car accident injury case is independent of a witness and a dash cam, it could take a lot of time to figure it out and money to prove whose fault it is. 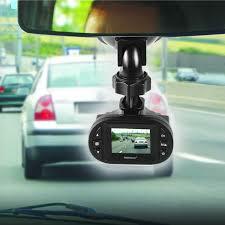 A dash cam would save all this time and bring 100% clarity to most car accidents.